Beijing is an amazing place if you love biking. There are countless nooks and crannies in this wonderful, ancient city to explore, and the best way to discover them is by bike. Along with being a great form of exercise, biking liberates you from the choice of public transport or horrendous traffic and gets you where you need to be. 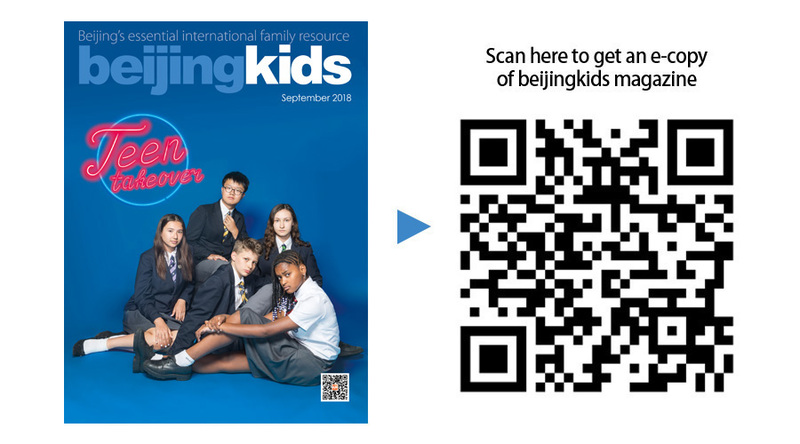 With this in mind, we enlisted a group of The British School of Beijing (BSB), Shunyi students to tell us exactly how their relationship with biking, for sport and leisure, has developed, along with how to make the most of this city by solely using your own generated power and thirst for adventure. Our wonderful city of Beijing offers a tremendous range of activities, anything from kayaking to rock climbing, but one activity I feel is underappreciated is cycling. Not cycling for the purpose of a commute, or to get to a friend’s house, but cycling for the sake of enjoyment and exploration. I understand the reservations around cycling, it’s not exactly considered a ‘cool’ sport. There’s a stigma amongst teens about wearing a helmet…and good luck trying to convince them to wear lycra as well! However, once you get past those initial uncertainties you’ll find yourself engrossed in this pastime. And there’s a type of cycling for everyone. Don’t like long, tiring efforts, but love going fast? Then maybe you’re a sprinter. Find you’re better at long rides and love exploring? Maybe you’re a climber. Don’t really like exercise, but love the coffee and cake at the end? Maybe you’re a café maestro. There’s always room for more cyclists, and local clubs such as Serk are always friendly and welcoming. Yes, Beijing has its grim days. We’ve all seen them: pollution so dense that you can barely see two feet in front of you. In the summer when it’s scorching hot, you can barely walk to the shop without needing to cool down, and in the winter the sub-zero temperatures make you want to curl up inside with a blanket. But these days aren’t nearly as common as the great days. It rarely rains, pollution is mostly a personal choice (anything over 200 is probably not advised though) and what’s considered too hot or too cold is up to you. As to the claim that all the drivers are lunatics, and the roads are therefore dangerous by proxy, again there is some merit in the statement – undoubtedly I’ve seen a few reckless drivers in my time here. However, compared to the standard of driving I see when I’m in my native Ireland, I’d take the Beijing drivers almost every time. The key to any road, in any country, is respect and understanding. If you’re out on a group ride there is no need for the group to take up the entire road. Also, don’t forget that Beijing is home to hundreds of thousands of people who use bikes as a mode of transport; this means drivers here have a greater awareness of them and often have more respect for cyclists than European drivers. In terms of challenging rides, Beijing is also quite comparable to Europe. The route to the east of the city earns its name from the famous Stelvio Pass in the Italian Alps, which is often described as one of the best cycling roads in the world. Whilst being a truly stunning road, it carries a certain infamy among cycling fraternities. Why? Well, put simply, it’s brutal. The Beijing Stelvio may be considered a younger brother to the behemoth; however, that doesn’t mean it should be underestimated. This really is one of the greatest roads I’ve ever ridden on. Starting in the small town of Shidu, you start the climb. After about 7 km of gradual climbing through the outskirts of Shidu, you get the first glimpse of what lies ahead, as the Stelvio protrudes enticingly from behind neighboring hills. The initial reaction to the 10 hairpin bends is always the same; it’s one of awe and shock. Awe of the beauty of the slalom nature of the road, and the way the sunlight shines off the white walls of the road. Shock, in the realization: ‘I’ve got to climb that.’The shock quickly turns to enjoyment, as you begin throwing yourself around the switchback. For any fan of cycling, it’s hard not to pretend you’re a Tour de France contender riding up Alpe d’Huez to get the Maillot Jaune. Sadly, though, you’re not, but, that doesn’t mean you can’t enjoy the idea of it. My recommendation when making this climb is to stop and enjoy the moment at times; it really is quite special. Maybe not stopping for a picture every turn, but definitely glance over your shoulder every now and then, and look at where you’ve come from. Like all great climbs, the Beijing Stelvio makes you earn the view at the top. And what a view it is. The landscape wouldn’t look out of place in Zhang Yimou’s Hero. The view is accompanied by a real sense of accomplishment as your legs burn with lactic acid. After a technical descent (and an optional break at the bottom), you begin the second climb. 13 km and 550 meters of elevation with an average gradient of 5 percent…it’s tough. The recommendation I make is stopping often to enjoy the stunning grandeur of the Beijing countryside, or to observe the more bizarre sights, like the massive red pillar protruding from the ground about a third of the way up the climb, which reads “Without the New Party there is no China.” It’s moments like that, which make biking in the Chinese countryside so incredible. Also, credit to the ‘New Party’, they build some absolutely cracking roads. As you climb further and further up the genuinely breathtaking road, you may pass some other curious sights; for example, a herd of goats crossing the road when you’re turning around a hairpin bend, or the petrol station near the top that seems far too remote to be of any use. The finish of the climb is like a scene out of a fantasy novel, as the road literally passes through a mountain. Now what goes up must come down, and cyclists of any level will tell you the best part of climbing is descending. All the pleasures of climbing a set of switchbacks are heightened when whizzing down them: the feeling of kissing the apex, the acceleration out of the corner, and the sheer speed at which you travel. It’s simply sensational. For my money, it rivals any road in Europe and is hands down the best road I’ve ever had the pleasure of riding. If ever you have the time and you’re a keen cyclist, make your way out to Shidu and experience the greatest ride Beijing has to offer. You won’t regret it.